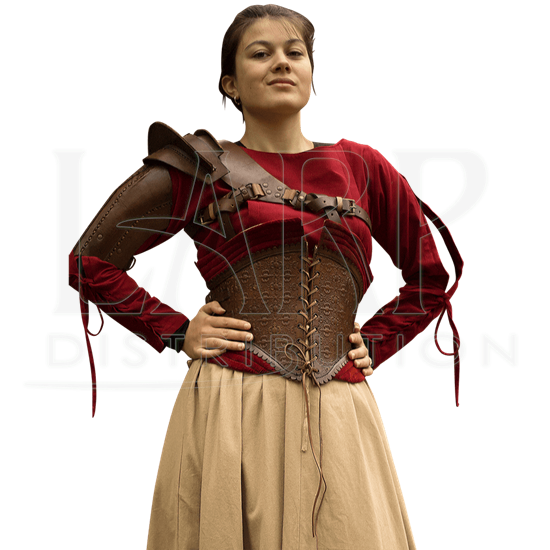 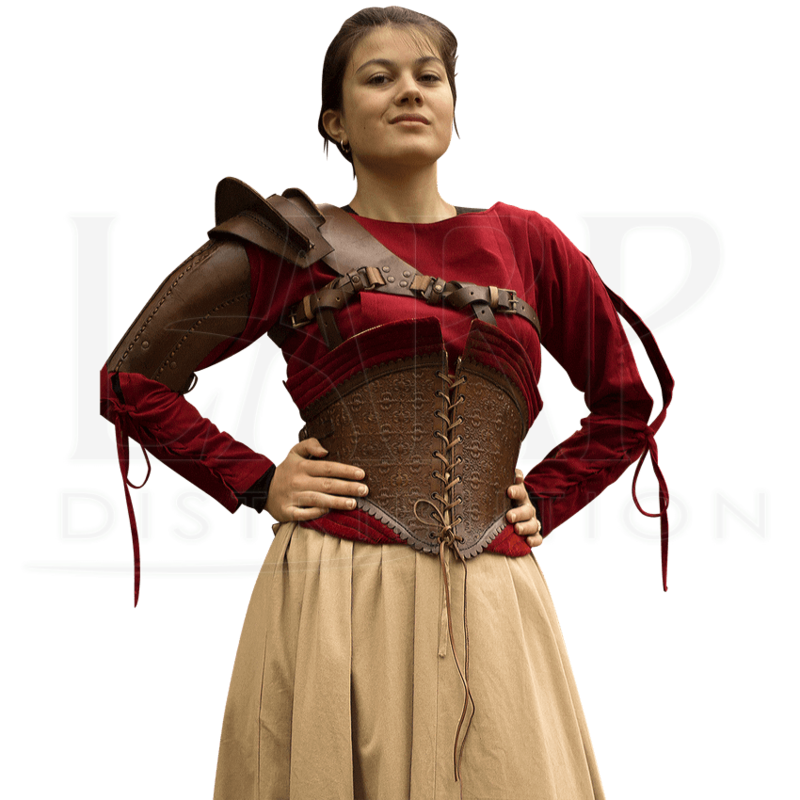 Timeless and reliable, the Heavy Cotton Peasant Dress is sure to become a trusted addition to your historic reenactment and LARP wardrobe. 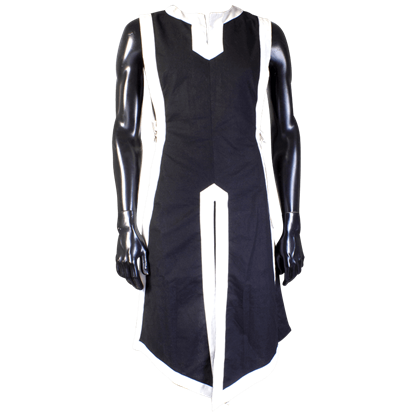 This ankle length sleeveless dress features a fitted and adjustable front lacing bodice. 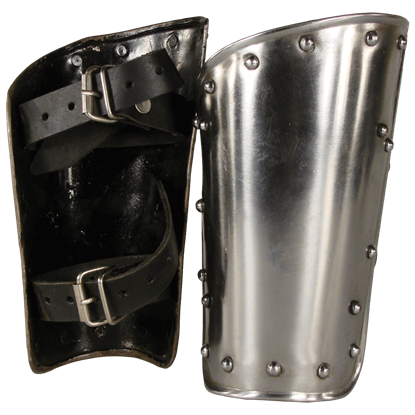 The Steel Warrior Greaves have a simple yet appealing design. 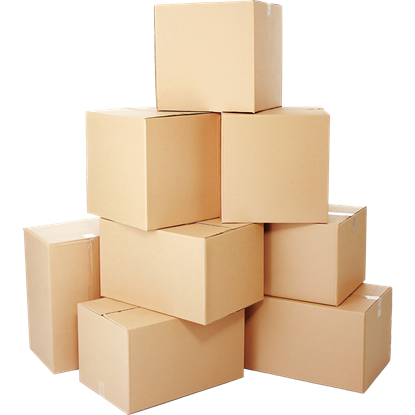 They feature a smooth finish with small studs along the top and bottom edges. 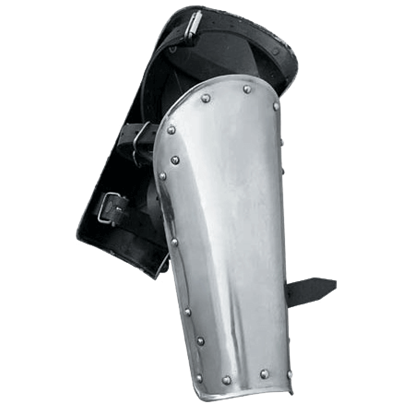 The Steel Warrior Greaves are crafted from 18 gauge steel and are sold as a pair.